Continuous Professional Development: We at JSS are constantly striving towards enhancing our skillset through various professional and personal development programs. For we believe that to inspire learning in classrooms, we need to be perpetual learners ourselves. 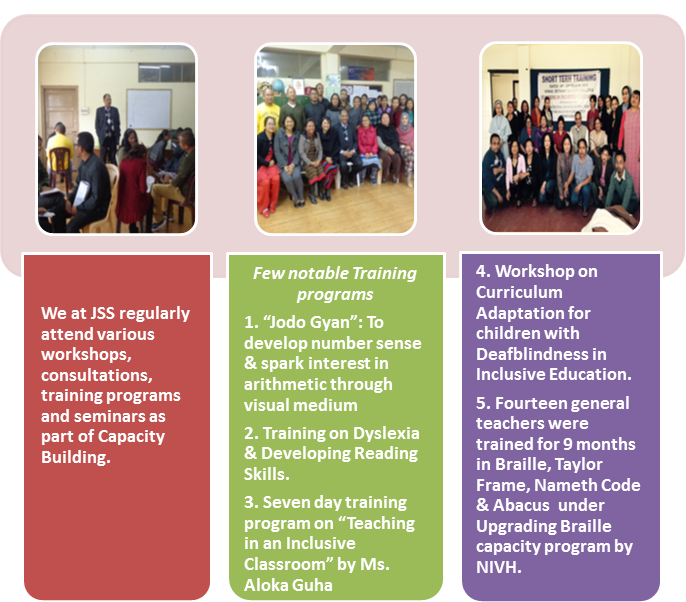 Pertinently, the teaching Staff is encouraged to attend workshops, training programs and seminars as participants as well as resource persons.